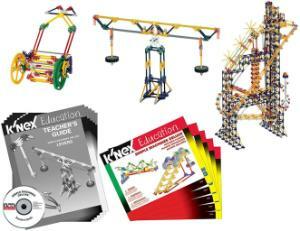 Build 60 Simple Machine Models with K'NEX. Exciting STEM Set! 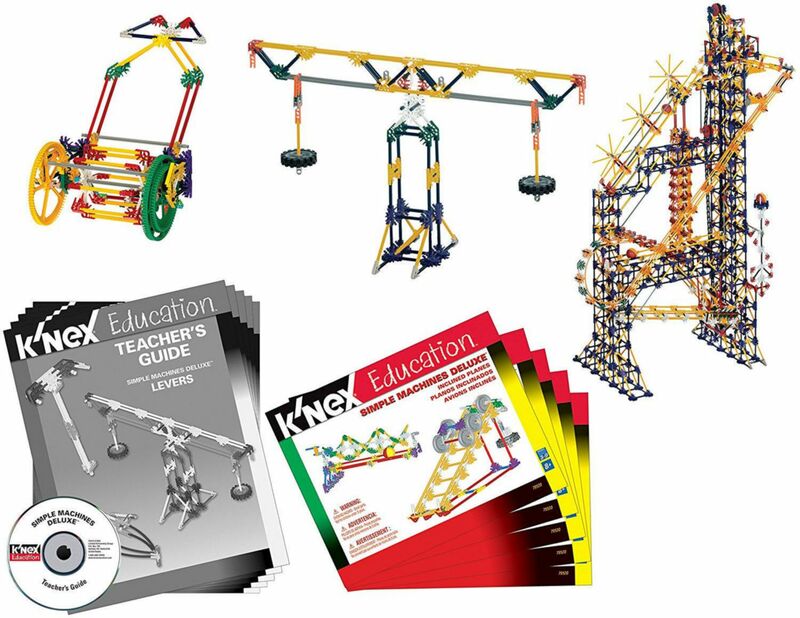 The K'NEX Education Simple Machines Deluxe set is designed to introduce students to the scientific concepts associated with simple machines – Levers, Pulleys, Wheel and Axles, Inclined Planes, including Wedge and Screw, and Gears. Students are provided with the opportunity to acquire skills using a hands-on, inquiry based approach to information and concepts. Working cooperatively, students are encouraged to interact with each other as they build, investigate, discuss and evaluate scientific principles in action. The teacher's guide provides a glossary of key terms and definitions, includes an overview of the concepts associated with the different simple machines, identifies student objectives for each investigation. Student Activity and Reference Sheets comprise illustrations and definitions of some of the concepts featured in the model building activities. Set includes 3447 K'NEX parts – enough to build 60 simple machine models! Supports 10 - 15 students working in teams. Grades 11 - 12. Building instructions comprehensive teacher's guide aligned to Science, Technology, Engineering and Math Standards included. Packaged in 3 strong storage trays with snap-on lids.